Incentives – Little transparency, Memorial Day to Labor Day, that’s our season in the northeast. Those 14 weeks is our Sunday Prime-time TV during sweeps. And it’s creepin’ up, faster and faster. While we don’t care for that, at all. It’s great for you because we must move out everything we invested in this year. Think about cars. When is the best time for you to buy a car? (“ALL the time is the BEST…”) When the next year’s models arrive! And in the boating industry, it’s accentuated by the fact we have an actual season to contend with! CollegeSave Program (Didn’t see that coming now did you?) 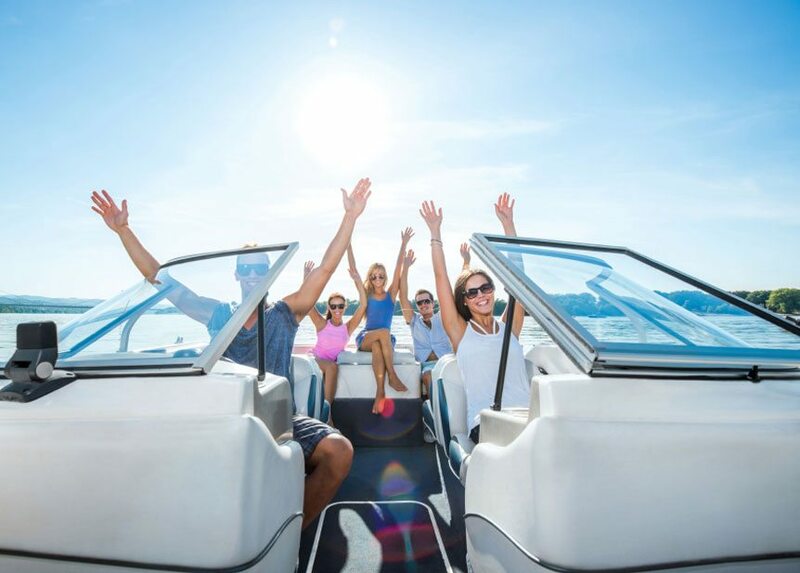 – Woodard Marine is the ONLY boat dealer in the country offering this program! UP TO $10,000 off college tuition! At over 370 institutions! That got your attention now, didn’t it? Family & Friends – Sun on your cheeks, wind pressing a smile, an eternal mist tent. Have you ever noticed how no one says a word while gliding across your body of water of choice? #BomoLife No, it’s not because you have this severe phobia of bug-in-mouth disease. (Not a thing. We think) It’s a joy. It’s pure joy. And you’re giving that gift to everyone who you love. We once heard a way to a fulfilling life is by giving. We like that. Give this gift to everyone you can. And this includes you. Give this gift to you. You deserve it. If not now, then when? Promise you; they’ll love you for it. (Disclosure – Woodard Marine by no means is saying for you to “buy the love” of your family, friends. Simply stating facts.) Superhero movies are a thing these days if you haven’t noticed. Not saying you’ll be a superhero to not only the ones in your life, but to your wallet too, if you buy a boat right now at Woodard Marine. But we’re not, not saying you’ll be a one either. Do them all a favor though, stop in, and talk. Our no pressure sales staff will love to educate you all about what we have to offer. And if you’re one of those who already bought a boat from us and just so happens to be floating on Lake Bomoseen; we love you and stop by. We would love to see you!